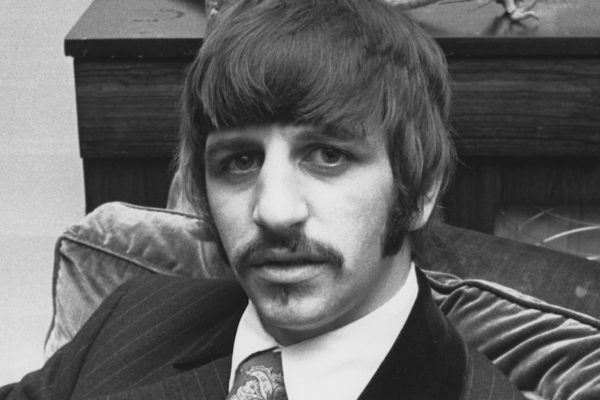 On April 9th, 1971, Ringo Starr made his first major statement as a solo artist. After a pair of lackluster solo albums in Sentimental Journey (1970) and Beaucoups of Blues (1970), the ex-Beatle released the blockbuster single “It Don’t Come Easy” b/w “Early 1970,” a record that would set into motion an impressive string of commercial successes that, for a time at least, set him apart from his former bandmates. Produced by fellow Beatle George Harrison, “It Don’t Come Easy” featured Starr on lead vocals and drums, along with Harrison on guitar, Klaus Voormann on bass, Stephen Stills on piano, Mal Evans on tambourine, and Ron Cattermole playing the song’s distinctive saxophone flourishes. Beatles veteran Ken Scott served as engineer on the track. While Starr is credited as the author of the composition, Harrison provided vital writerly assistance in bringing the song to fruition. Recorded under the working title of “Just Gotta Pay Your Dues,” “It Don’t Come Easy” began life at EMI Studios in February 1970 when Starr was recording the Sentimental Journey LP with George Martin in the producer’s chair. With Harrison, Voormann, and Stills pitching in on the instrumentation, the song was performed across 20 takes. Working at Trident Studios in March, Starr remade the song with Harrison helming the production. The March session marked Cattermole’s first appearance on the track, which would be mothballed until October, when Gary Wright added a piano part. Badfinger’s Pete Ham and Tom Evans later appended backing vocals to the song. “It Don’t Come Easy” proved to be a commercial hit, notching top-five results in several different countries. In a review in NME, Alan Smith praised the song as “undoubtedly one of the best, thumpin’est things the Starr man has ever done.” But the single’s real treasure may have been the B-side, “Early 1970,” in which the drummer contemplated the contours of his post-Beatles life. Over the years, Beatles fans have lauded Starr’s nostalgia in “Early 1970” as a key moment in the band’s post-breakup story. But for the Beatles’ drummer, “It Don’t Come Easy” would emerge as a signature concert staple. The song would make its concert debut in August 1971, when Starr and a host of rock luminaries performed “It Don’t Come Easy” at Harrison’s famed Concert for Bangladesh charity benefit in New York City. Given the song’s buoyant, heartfelt message, Starr continues to perform the up-tempo number into the present day with his All-Starr Band. Great article! But if you haven’t yet, please do find time to scribble a few lines about Ringo’s 1st 2 albums. Yes, sales weren’t Beatleworthy, but I think they are remarkable. I recently listened to Beaucoup & was so impressed by the honesty in his voice. And when DJing for a big band/MOR format ages ago I’d often slip in a cut from Journey amidst the Sinatra, Basie & Dorsey. They should not be ignored.